Have you ever wondered what happens to the rubbish from your business once it is collected? We offer completely transparency around how and where we send the waste and recycling we collect. We encourage people to see how the facilities we send waste to operate and what it is they exactly do. This weekend, 16th and 17th of September, you have a chance to see just that. The London Open House Weekend is providing you with an amazing opportunity to visit two state-of-the-art waste treatment facilities. What’s included in the ‘Open House Weekend’? Our partner Veolia’s cutting edge materials recovery facility is Europe’s most advanced recycling facility. The open day provides valuable insight and entertainment for everyone. Take a tour of this facility – showing you how both man and machine work together to sort different materials, ready to be transformed into something new. If you’re looking for more information on anything you have seen, or if you have general questions regarding waste and recycling, there will be experts on hand. South East London Combined Heat and Power, also known as SELCHP, is an energy from waste incineration plant located in Deptford, SE14. All of the waste incinerated at SELCHP is used to generate both heat and electricity that homes and businesses in Southwark benefit from. The plant is capable of processing up to 420,000 tonnes per year of municipal solid waste. It takes 0.7 tonnes of waste to heat one home. Visiting SELCHP is a fantastic opportunity for residents and businesses to see how your waste is used to create green energy. Here at Commercial Waste Services, we are proud to be able to provide complete transparency of our waste and recycling collections. Instead of just telling you that our commercial waste services are provided at the highest standards, the open days at these facilities will show you just how this is achieved. You will have peace of mind knowing that, by using our collection services, you are doing everything possible to be environmentally friendly with regard to waste. This is also a perfect opportunity to communicate your experience to your customers and stakeholders that your waste and recycling is not harming the environment and is being disposed of to high standards. 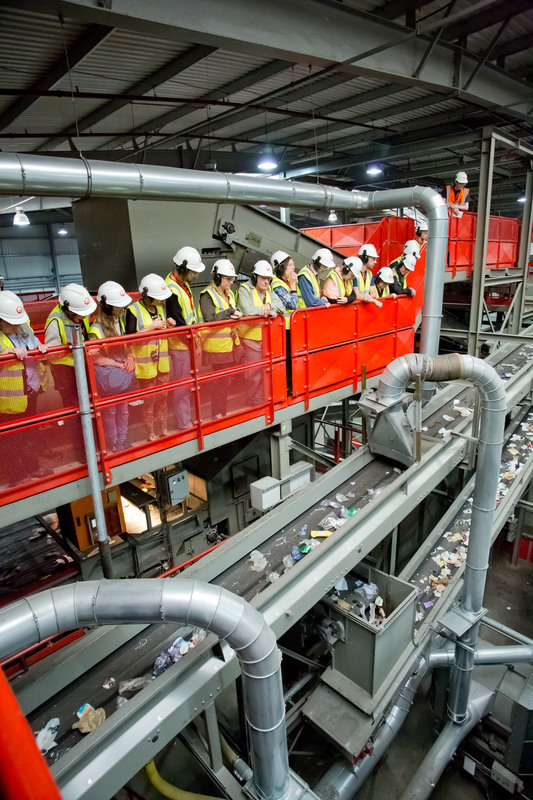 If you want to see how your recycling is sorted so it can be recycled into new materials, please see this page with information on attending the Veolia Southwark Integrated Waste Management Facility. If you’re interested in seeing how your hot shower could be powered by general waste, please see the information on attending The South East London Combined Heat & Power Energy Recovery Facility. Can we help you with our transparent waste and recycling services? To enquire about our fully transparent, reliable and cost effective commercial waste services, get in touch using one of the buttons below.